What are the system requirements for EditArea? 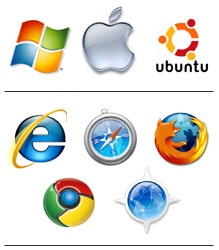 IE 5.5+, Google Chrome, Firefox 1.5+, Safari 3.0+, Opera 10.0+, Camino 1.0+, Netscape 7.1+. All these features are found on the majority of computers which are hooked up to the internet (needless to say, an internet connection is essential). You are not sure about your computer’s configuration? No problem: try it out, it’s free!